Our team will help make sure your home is kept safe. Home security is instrumental in keeping your home safe and maintained. Our risk management team will not only coordinate with your alarm company, we’ll work with you to help find ways to prevent the occurrence of fire and theft. The Home Maintenance Organization will help conduct house checks to discover fire hazards before they become fires. By applying simple and easy-to-follow guidelines, we’ll help you avoid common fire safety mistakes. The Home Maintenance Organization will look for ways to deter potential intruders and make your home more secure. Our security experts can point out where the weak spots are in your home security and what to do to resolve them. We’ll also establish a patrol presence if you feel it’s needed to provide even greater security. 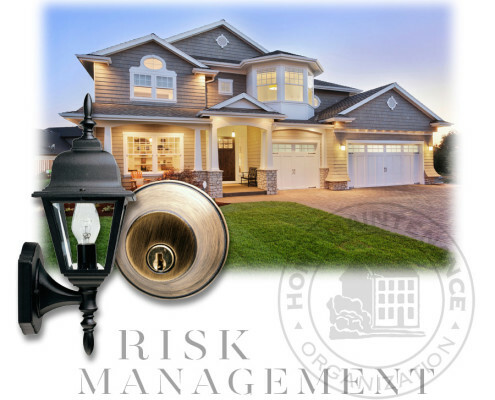 After signing up with the Home Maintenance Organization, each homeowner can set up their own risk management profile. We know how to make your home feel safe as well as look great.